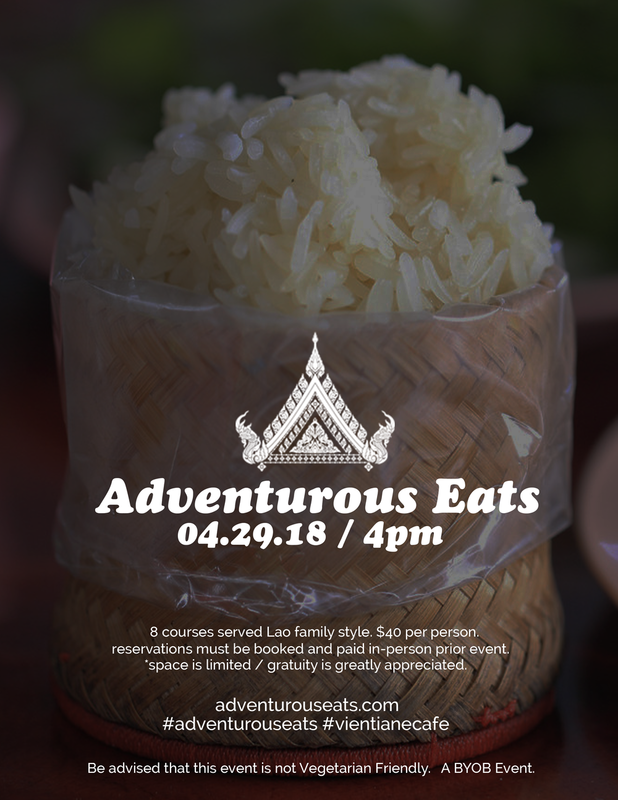 Adventurous Eats is a project that we been working on to introduce traditional Lao food to audiences that are unfamiliar to them. When we launched our Adventurous Eats event, we took it upon on customers and social media in participating. And within two days of posting up the event, we were literally sold out of reservations. What Adventurous Eats consist of is various entrees served in a family-style manner, just as you would eat if you were at a Lao family home. Our chef will present the dish, what it consist of and explain a bit of history of how the dish was developed and its occasion. If you haven’t experienced Adventurous Eats yet, stay tuned. Check out this link for upcoming events..
Media / PR Relations questions or inquiries about this event, please click here.